Hello friends, have you forgot your Android mobile pattern password and searching for solution? 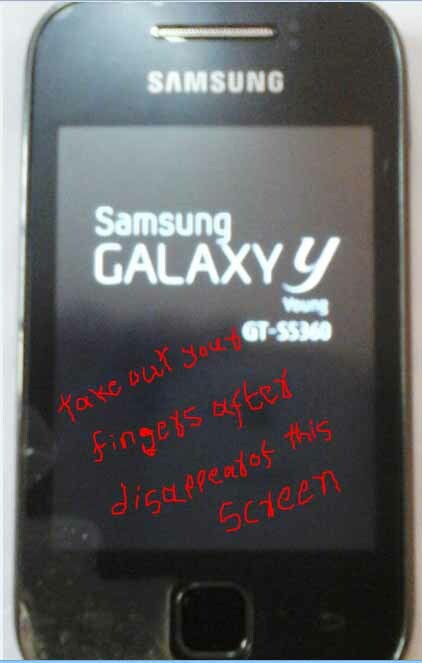 Then scan this useful guide how to unlock/reset pattern password for Samsung Galaxy Y Young S5360 model. The method which is I am going to tell helps to break pattern password for your Android smartphone surely. To unlock pattern password for your Android mobile exactly follow this guide and easily break pattern password to your Android mobile S5360. Are you using Android Smartphone??? Suppose if you are using an Android mobile, simply you can unlock your android phone pattern lock without-internet/software/money, and no need to contact Samsung mobile service. Using this guide unlock android password for below model mobiles. 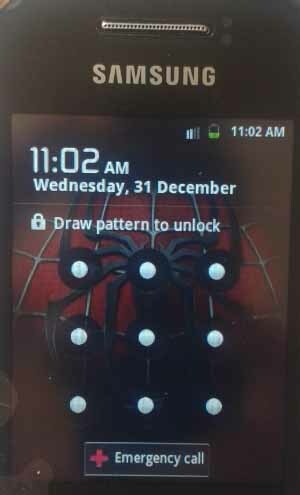 Applying very simple steps, yourself you can unlock that pattern password to your mobile. 1. Backup already installed apps into mobile SD card. If you don’t do backup, you will have the chance to lost those installed apps but not loss default apps. 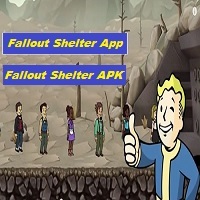 App saver is a mobile application, it attends to convert mobile apps into APK file format. 2. Remove SIM cards from mobile. 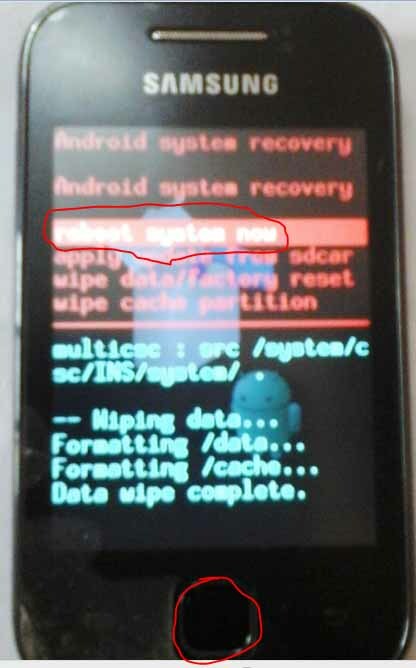 Will we get any problems to smartphone SD card because of booting? No, never you will not face such problems. If you do boot to your smartphone, there is no data lost in SD card. 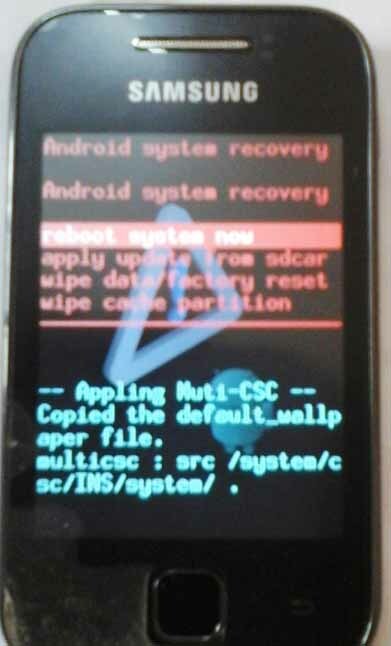 You can make it as how before it was, after booting of Samsung Android Smartphone. And also you can make phone bit faster without updating of an Android OS. 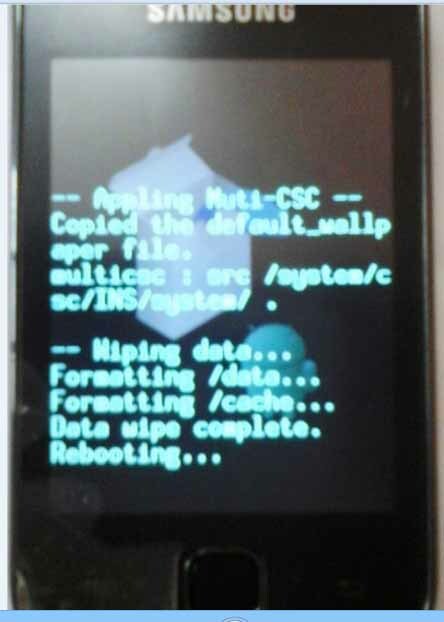 How to Do Boot for Samsung Galaxy Y young s5360? 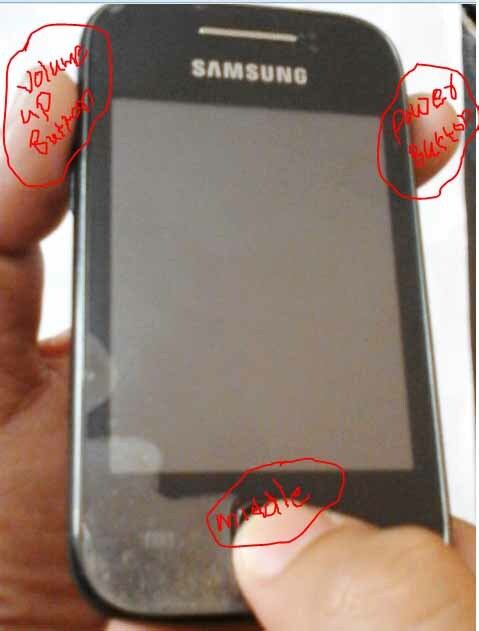 I had set pattern password to this Samsung smartphone s5360, and I have forgotten. But I didn’t left it as like this, I have tried, and finally unlocked it. Follow below simple-minded steps to Samsung mobile for pattern unlock. 2. Before going to do boot, mobile is in “switched off” mode. 3. Hold VOLUME UP Button, POWER Button, and MIDDLE Button at same time. You should keep your fingers as like in above figure until screen get appear. You can take out your fingers from those buttons, when screen get disappear. STEP 3: disappearing of screen, after few seconds you will see your phone same as below. STEP 4: Using VOLUME button, select “wipe data/factory reset”, after that click the middle button. STEP 5: In these step select “Yes — delete all user”, again apply middle button. STEP 6: click “Reboot system now” option. STEP 7: you can see Rebooting. 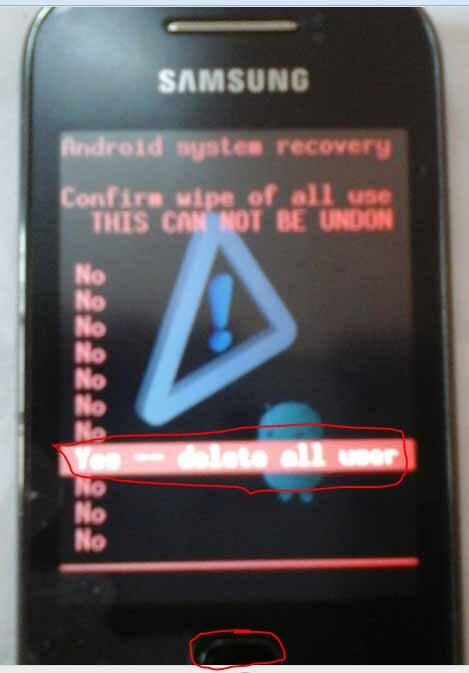 While rebooting you do not press any other buttons on your Android phone. 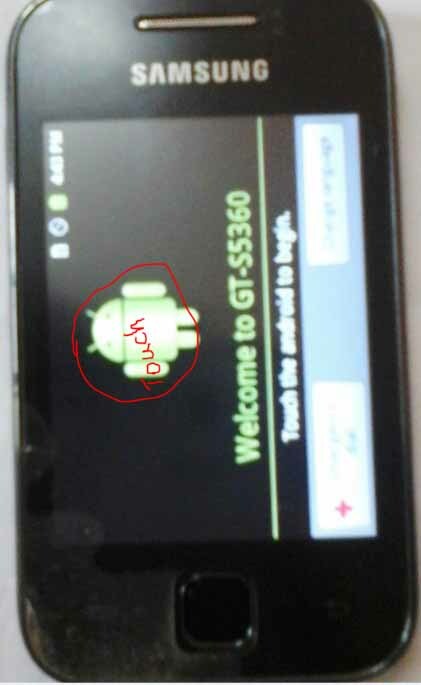 STEP 8: After rebooting, your screen get started, after that Just Tap on Android symbol, see below. 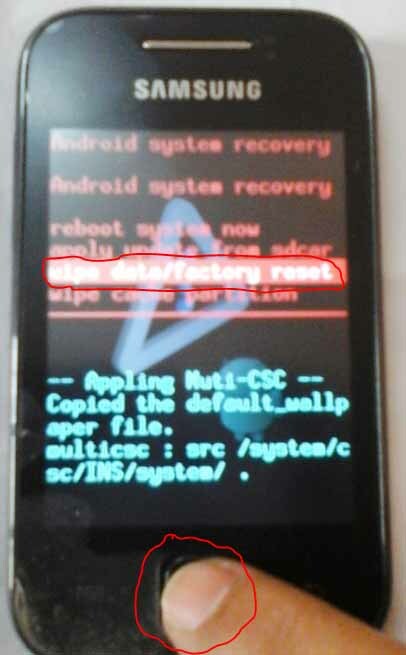 That’s all about how to break/reset pattern password for Android Smartphone Samsung Galaxy Y young s5360. In addition to this you can unlock/reset pattern password for Samsung Galaxy Y (S5360, S5363, S5360B, S5360L, and S5369 Duos S6102, Duos S6102B). 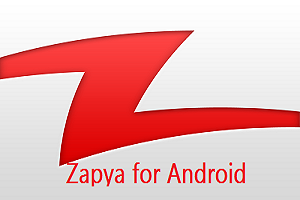 You can apply same method for above given android mobiles. 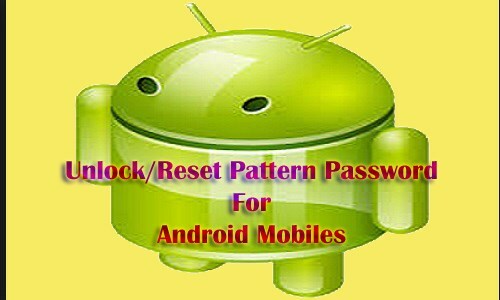 I hope this will help you to unlock/break pattern password for your Android Samsung mobile. 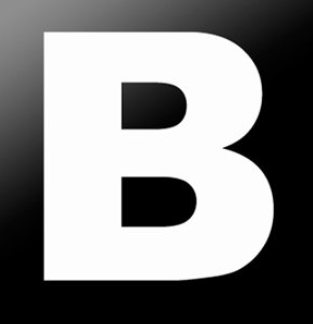 If you have any suggestions or questions about this article you can freely write them in comment. Friends please give your valuable comments and share this article on social media.